I finished my 24-Hour Book Blitz! 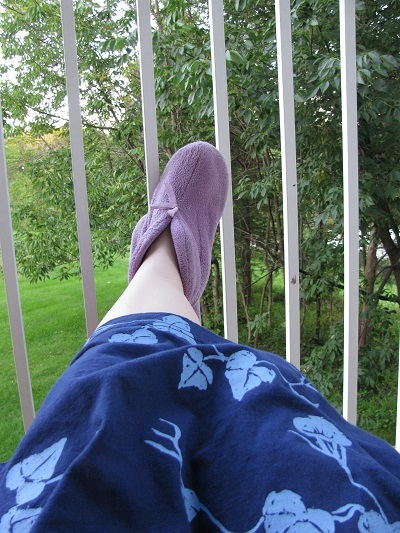 And yes, some of that reading was done out on my balcony, even though it was a hot day for it. My time stats are that I did manage to use more than half the time for book-related activities, a total of 13 hours and 50 minutes. and 1 hour, 30 minutes “housekeeping” — entering data into spreadsheets. This last included recording all the books I received from publishers in the last week — my grand total of books received is now 438 books. 400 Picture Books (400 even!) — 14,935 pages. Grand total: 622 finished books, and 71,867 pages. It’s always fun to spend a day reading, though I didn’t really hit on treasures this time. I read a lot of short books, thinking I’d have time to write reviews — but didn’t get many reviews written. I now have a stack of 9 books to review (up from the 5 or 6 I started with), which I hope I can get to tonight before I do more reading. Still, it feels good to mostly use my time off well — and I love that reading is using my time well! How lucky am I? My next Book Blitz I hope will be Columbus Day, and the weekend after, I’m taking a 4-day weekend away for a reading retreat. Meanwhile, happy reading! This entry was posted on Monday, September 3rd, 2018 at 6:51 pm and is filed under 48-Hour Book Challenge, Book Blitz, Newbery Notes. You can follow any responses to this entry through the RSS 2.0 feed. You can leave a response, or trackback from your own site.